Fashion comes and goes and after a while a lot of material ultimately looses its appeal. A company who makes money with an artist today, will drop him tomorrow, if he ceases to sell. No matter how popular he used to be, a company will not keep his material available. After he dies, his music will slowly be forgotten. Unless that is, it was recorded in a cult style. A remarkable exception seems to be the family of Emile Lambert. Emile Lambert (1923-1986), real name Emile Kodeck, was a comedian/singer from Wallonia, the predominantly French-speaking Southern region of Belgium. 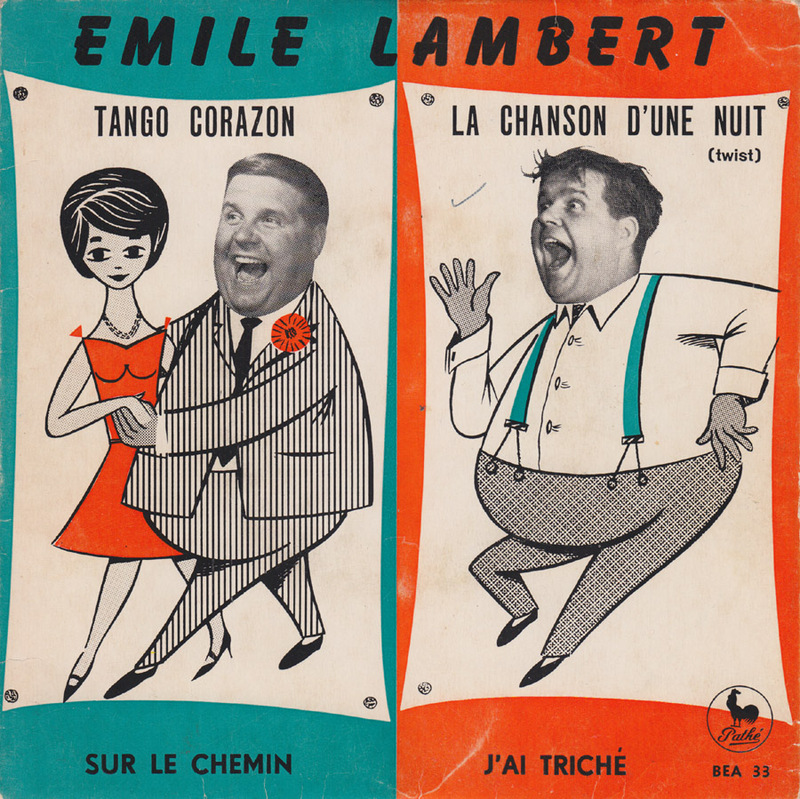 In the late 50s and early 60s Lambert recorded a slew of records, among them five 45s and the LP 140 Kilos De Bonne Humeur Avec Émile Lambert for the Olympia label, and some others for Fontana, Phillips and Pathé. None of these records have ever been reissued, but at least his son cared enough for his father´s work to create a very personal and touching video of his father on Youtube here. The only song of Emile Lambert´s vast works, that has ever been legitimately reissued, is the rousing Le Houla-Bop. 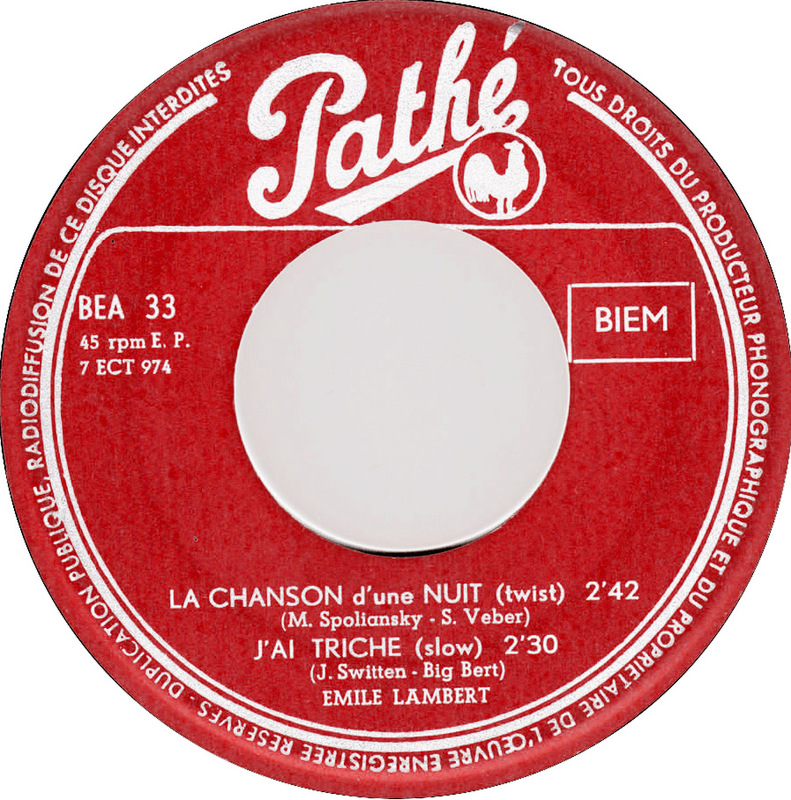 It first appeared on a French CD in the 90s and then recently on the excellent, very recommendable compilation LP Rock Rock Rock – French Rock and Roll 1956-1959 by Born Bad Records. That song was only reissued, because it was a satire of a cult style. So if you have a deceased artist in your family or among your friends, don´t rely on their former business partners to manage their legacy. Business is bound by financial and legal necessities and doesn´t care for sentimental contemplation. 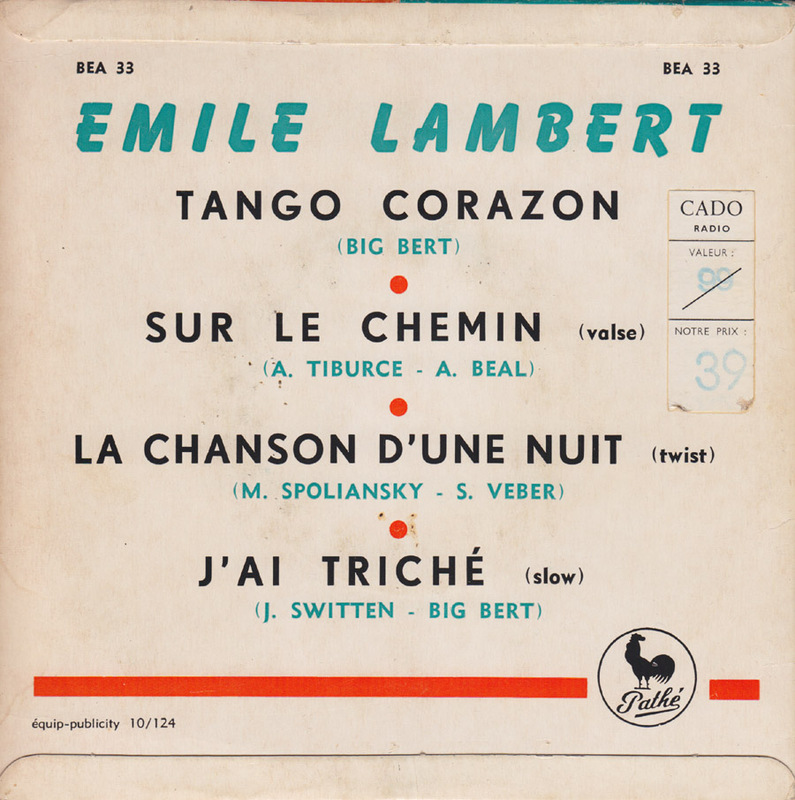 Otherwise some record company would have let these tracks by Emile Lambert be heard in the past fifty years. Keeping the memory of an artist alive should be free from commercial restrictions. And if friends and family won´t care first, nobody will.